We like to think that we are environmentally conscious here at The Boy’s Store. We stock clothes that are organically made, and locally made. In fact we offer a lot of American made quality items. Not only can you be assured that these items are made and distributed locally, they are also made here in America with American jobs. No outsourcing, just pure American made clothes. We know that in order to affect globally we have to act locally. By purchasing American made items you are not only helping to create and support American jobs you also cut down on the carbon footprint because the items are grown, cultivated, manufactured, and distributed locally. No more transatlantic shipping. Many of our favorite brands understand this plight too. That is why a majority of our favorites are made here in America. Brands like Flap Happy, Dogwood, Hank Player, City Threads, Wee Winter Woolies, Good Boy Friday, Tuff Kookooshka, and Kiwi Industries. These brands make sure that the product you get has been designed, and manufactured in the USA. This means that your favorite looks have been made here at home. Now that so many great brands are made here in America you can have your pick of great style. You can mix and match looks from different brands, and different collections. Your kids don’t have to be stifled in the style department when you buy only American Made brands. So be sure to check out our incredible selection of American Made items, the variety may make your ability to make a decision on what to buy be the truly hard part! 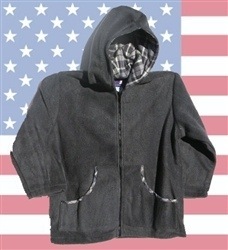 This entry was posted in boys clothing, Made in the USA, Mix & Match Boys Clothes and tagged American Made, City Threads, Dogwood, Flap Happy, Made in the USA, the boys store, tuff kookooshka, wee winter woolies on April 19, 2014 by Lacy. Dogwood has some amazing boy’s outfits for summer. It can get hot during those long summer months, so of course most boys love to lounge around and play in clothes that are loose fitting and made of lighter material. Of course many of our boys also love an outfit that can do double duty. It is great when they can get dressed once in the morning and go straight to the park to skate and then head to a friend’s house to swim without ever changing their clothes. That’s why boys love swim trunks that double as board shorts, they are comfortable, easy to wear, easy to swim in, and dry quickly once they are out of the water, and Dogwood has some incredible looks featuring board shorts this summer. Here is a gRReat look that will keep those buccaneer s happy. Atlantic Board Shorts by Dogwood: These tan/stone colored board shorts feature an Atlantic United 1672 flag print on the front with a cross and bones pirate on the flag. It has a partial elastic waist for comfort and ease of wear and is 100% polyester, and it is made in the USA! Your boys will love these comfy and cool shorts and will enjoy showing them off and using them all summer long. Beach Bum Bling Shirt by Dogwood: Whether they are real beach bums or just pool bums they will love this great tee. This orange tee with its pirate theme will make them feel like they are true buccaneers looking for booty this summer as they hang with their pirate posse. Let them enjoy their time off this summer as they bum it up like true pirates around the pool or at the park. 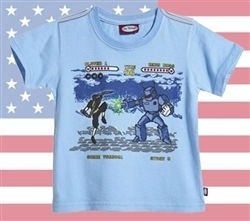 This entry was posted in boys clothing, Featured item, Made in the USA and tagged American Made, boys clothes, boys clothing, boys fashion, Boys jackets, boys shirts, Boys T-Shirts, Dogwood, fashion news, fun on June 16, 2012 by Lacy. Boys: [boiz] Noise with dirt on it. Well most Moms of boys would agree both are about right, but nothing rings more true than noise with dirt on it. 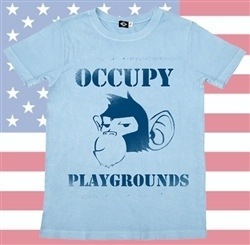 Lollybean Kid Couture understands that little boys can be loud, full of energy, and can get a little messy. That is why they have amazing clothes for little boys that are not only cute but indestructible, easy to maintain, and dirt friendly. Right now you can find some of their cutest (and durable) outfits for your littlest man at up to 30% off regular price at The Boy’s Store. You can pick up a few of your favorites now at this great price and still have enough left over to buy laundry detergent. Let’s face it, you will need that too! Rebel Pant and Shirt Set by Lollybean: This great pant and shirt set is incredibly comfortable with its gray short sleeve shirt and charcoal yoga style pant. It is perfect for that little man scooting, crawling, walking, or running around the house and yard. He may get loud, hence the rebel yell and he may get dirty, but at least he will look great during his playtime. The gray tee features a graphic print of a volume bar, which like with most boys is at full volume, and the charcoal pants read “rebel yell.” The outfit is 100% cotton, made in the USA, and is incredibly easy to wash. Kid tested, mother approved! This entry was posted in boys clothing, Brand News, Featured item, Made in the USA, Shopping and tagged American Made, Babies, baby boys fashion, baby clothing, baby gift items, boys clothes, boys clothing, boys fashion, Boys pants, boys shirts, Boys T-Shirts, Lollybean Kid Couture, shopping tips, the boys store, Toddler boys, Toddler boys clothing on March 15, 2012 by Lacy.